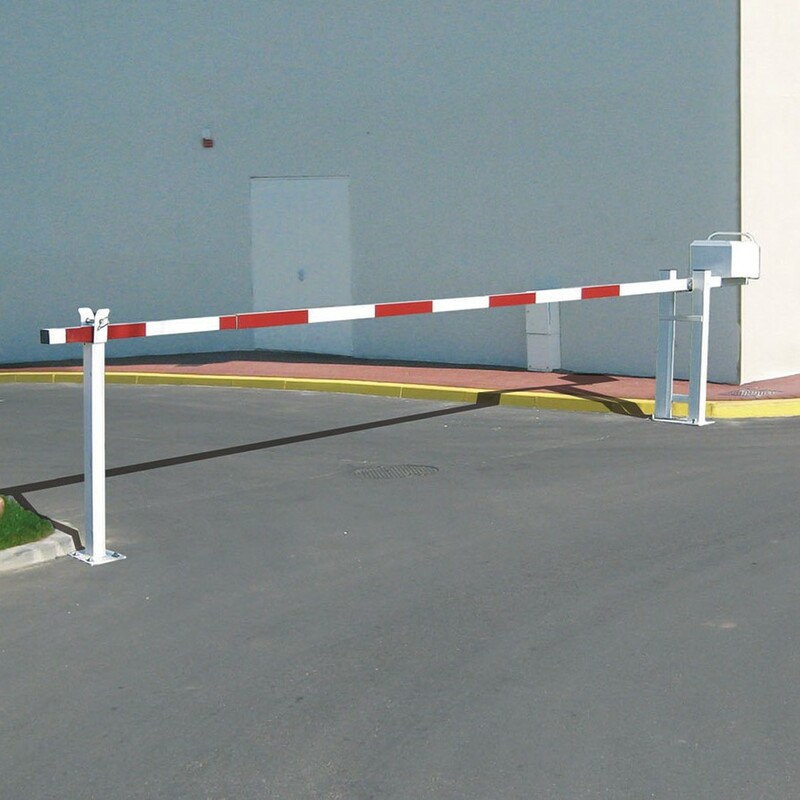 The Manual Arm Barrier provides a low maintenance, cost-effective way of manually controlling access to unauthorised areas on a permanent or temporary basis. Durable and hard-working, this manual raise arm barrier has been manufactured for the last 32 years and compromises a robust and high quality pivot post, lockable end rest and aluminium boom. Carefully designed pivot post has the strength to cover up to 8 metre road widths and still be easily operated by one person alone ! 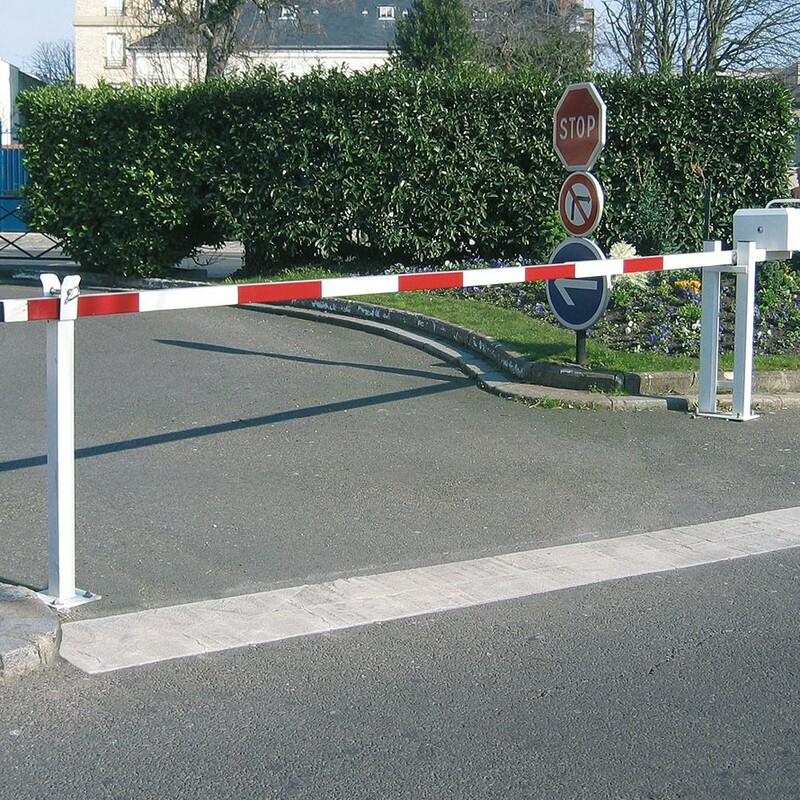 Also combined with a stainless steel pivot bar and two heavy duty, anti rust bearings this barrier is a great way of ensuring complete traffic management. Our SB.4 can be locked in either vertical or horizontal postions with thanks to its padlock facilty (Padlock and fixings included) and is available to cover road widths from 3 metres up to 8 metres. Half sizes are also available. As standard our barriers are supplied red, with an red/white or yellow/black boom. If you require an alternative colour please contact the sales team. For wider entrances two barriers can be used together in conjuntion with a central locking sleeve, pogo stock or removable end rest.